During my research and experiments about using WSJT-X modes through linear transponder satellites, one of the questions I had is by how much do TLEs of different epochs for the same satellite vary. This was glimpsed in part II, where I plotted the “best delay” parameter for TLEs of different age. The topic of accuracy in TLE computation and propagation is rather complex. A NORAD TLE is the result of an orbit determination after several radar measurements at different epochs, so the elements are in some sense “averaged” over time. Also, the SGP4 propagator is simple and doesn’t model many orbit perturbations. However, NORAD TLEs are specially crafted to give improved results when used with SGP4. Nevertheless, here I present a simple way of studying the rate of change of NORAD TLEs at different epochs. This procedure might not be very meaningful or sophisticate, but still seems to yield some interesting results. In the previous post, I detailed my experiments transmitting FT8 through the FO-29 linear transponder. I recorded a complete pass of the FO-29 satellite while I transmitted an FT8 signal trough the transponder on even periods. 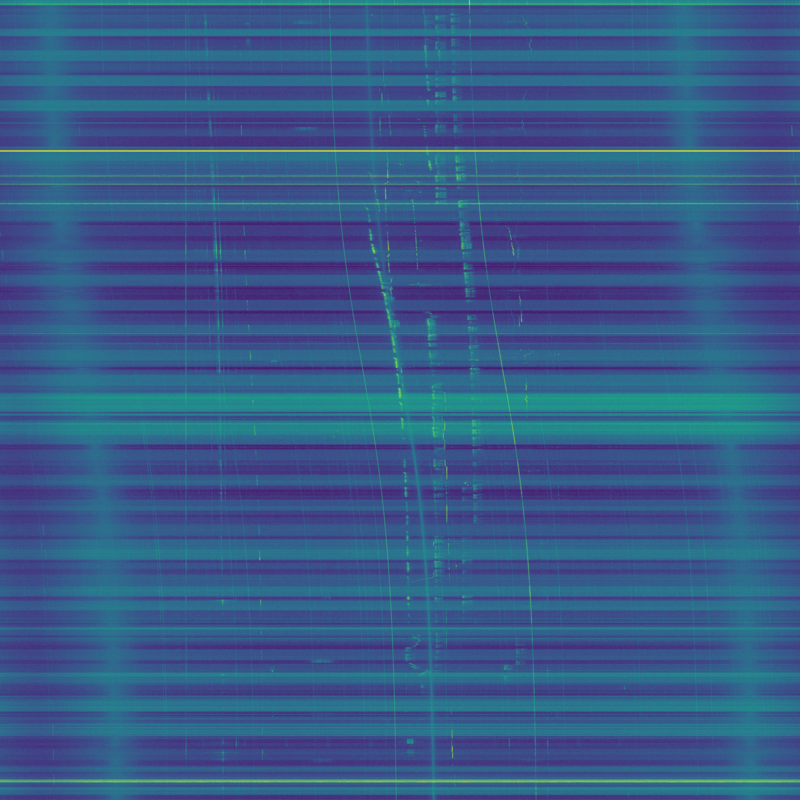 As I promised in that post, I have now made a waterfall with the recording to show the activity through the linear transponder, and the strength of my FT8 signal in comparison with the SSB and CW signals of other users. The watefall can be seen below. You can click on the image to view it in full size. A higher resolution version is available here (24MB). The horizontal axis represents frequency and the vertical axis represents time, with the beginning of the pass at the top of the image. 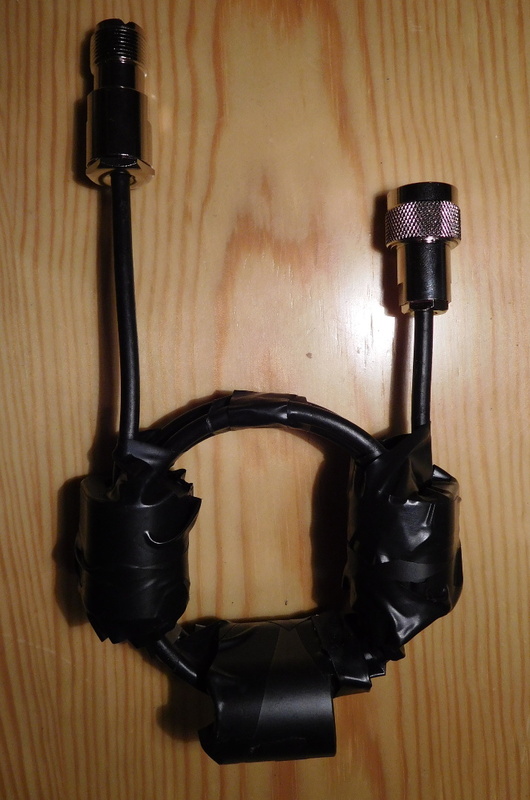 The waterfall has been corrected for the downlink Doppler and the DC spike of the FUNcube Dongle Pro+ has been removed. From left to right, the following signals can be seen: The CW beacon can be seen as a faint vertical signal. 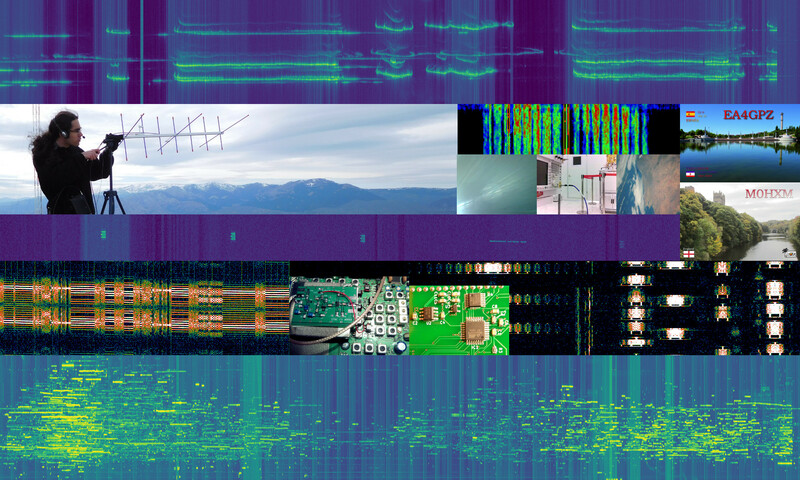 Next, there is some interference coming through the transponder in the form of terrestrial FM signals. Then we can see my FT8 signal, being transmitted only on even periods. Finally, around the centre of the image, we have a few SSB and CW signals through the transponder. 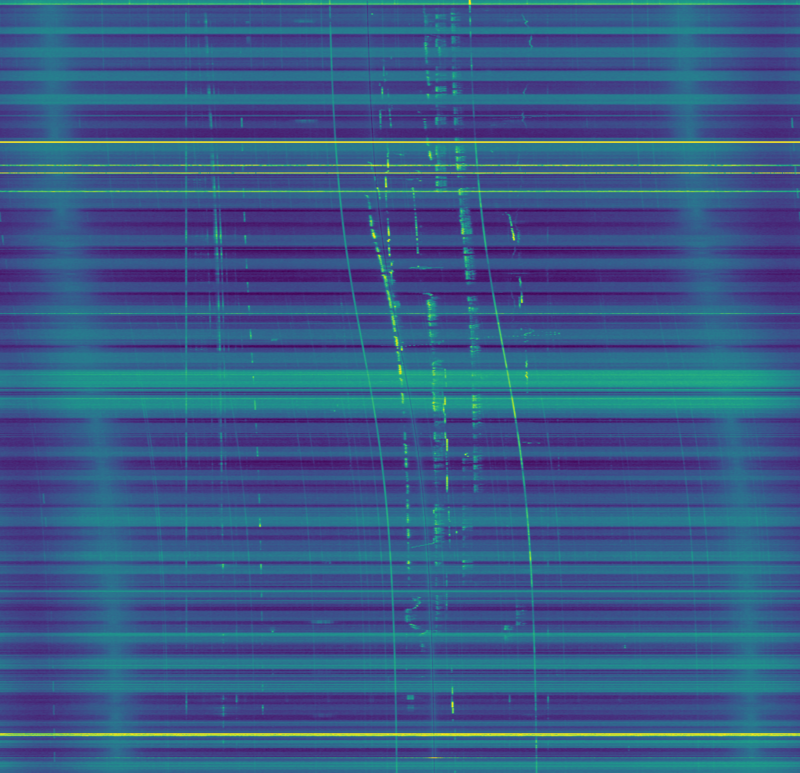 Note that most of these signals increase in frequency as the pass progresses. This is because many people keep a fixed uplink and only tune the downlink by hand to correct for Doppler. Unfortunately, full computer Doppler correction is not very popular. 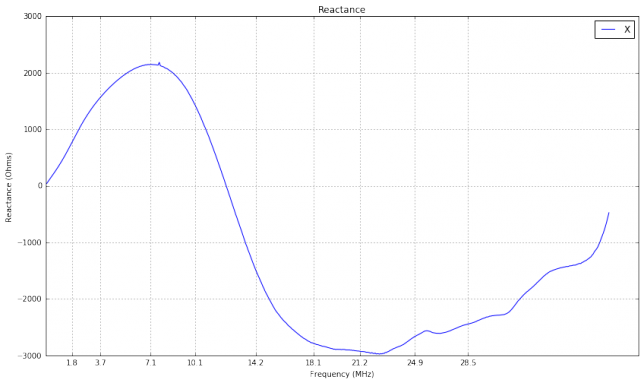 I also used a fixed uplink frequency for my FT8 signal, but only to simplify the experiment. The best procedure is to correct for the uplink Doppler to keep a constant frequency at the satellite. We can see that the SSB and CW signals are much stronger than my FT8 signal. Indeed, some of the CW signals are particularly strong at times, perhaps putting too much pressure on the linear transponder. The waterfalls in this post have been created using this Jupyter notebook. Continuing with my research on using WSJT-X modes through linear transponder satellites in low Earth orbit (see part I and part II), a few days ago I transmitted and recorded an FT8 signal through the V/U linear transponder on FO-29 during a complete pass. The recording started at 2017/10/23 20:26:00 UTC and ended at 20:42:30 UTC. It was made with a FUNcube Dongle Pro+ set to a centre frequency of 435.850MHz and connected to a handheld Arrow satellite yagi through a duplexer. Here the duplexer was used to avoid desense on transmit. An FT8 signal was transmitted on every even period during the recording, at a fixed frequency of 145.990MHz, using a Yaesu FT-817ND and the Arrow antenna. The signal was transmitted using lower sideband (i.e., inverted in the frequency domain) to get a correct FT8 signal through the inverting transponder. The transmit power was adjusted often to get a reasonable signal through the transponder and avoid using excessive power. There have been reports and complaints of people using too much power with digital modes through linear satellites. 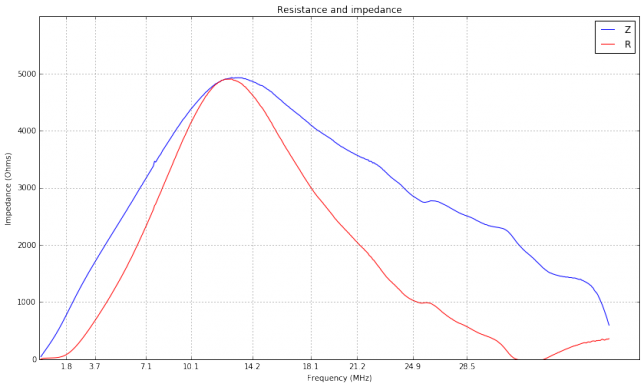 In this post, a study of the power is included to show that it is possible to use digital modes effectively without putting any pressure on the satellite’s transponder. Out of the 33 even periods, a total of 24 can be decoded by WSJT-X using the best TLEs from Space-Track. No measures were taken to correct for the time offset \(\delta\) that has been studied in the previous posts, as the TLEs already provided a good Doppler correction. Regarding the choice of TLEs, there are still some remarks to make. First, the epoch of the TLEs used was 2017/10/23 21:39:16 UTC, so these TLEs were actually taken after the pass. The previous TLEs were taken a few hours before the pass, and it is likely that they also provided a good correction, perhaps by using a time offset \(\delta\) if necessary. However, I do not know if these previous TLEs were also available from CelesTrak before the start of the pass, as it seems that TLEs take a while to propagate from Space-Track to Celestrack. To explain why the TLEs with no time offset correction are enough, it will be interesting to study the rate of change of TLE parameters for FO-29. This will be done in a future post. The results of this test look very promising. Even though this wasn’t an overhead pass (the maximum elevation was 40º), the maximum rate of change of the Doppler was over 20Hz/s for the self-Doppler seen on the FT8 signal and 35Hz/s for the downlink Doppler seen on the CW beacon. Most of the periods which couldn’t be decoded were near the start or end of the pass. This is the only test that I know of that has decoded FT8 signals in the presence of high rates of change of Doppler. The previous tests by other people were made at low elevations, where the rate of change of Doppler is small. This test has shown that it is possible to get many decodes with high rates of change of Doppler, even using no corrections to the TLEs. Here I continue with a detailed analysis of the recording.